Pluto says after years of pressure from Major League Baseball Commissioner Rob Manfred, Dolan had to make a move, and it coincided with hosting next year's All-Star game. "The heat on the Indians intensified the last few years when the team became better and was playing in the postseason and getting a higher national profile," Pluto says. Still, Pluto says Dolan fought to make sure the decision to retire Wahoo was done in the best interest of the team and fans, and not the "New York elites." "His biggest fear was that they'd have the 'Chief Wahoo police' stopping people from coming to games wearing their old hats." "And at one point it was discussed taking down any image of Chief Wahoo anywhere. The problem is for 50 years its been on uniforms. They have all these historical pictures of Bob Feller and others. So what are you going to do, blot it out?" Pluto says he's glad the team is keeping its Indians name. "I think I'm on pretty solid ground on this. The vast majority of Indians, those who live on reservations, do not consider the name to be pejorative. The largest paper on reservations is called Indian Country Today. And you talk to people like in Wyoming on the edge of the Wynn Reservation, they say, 'When I'm over in the Indian country huntin'...'"
Pluto says it's much different with the Wahoo logo. 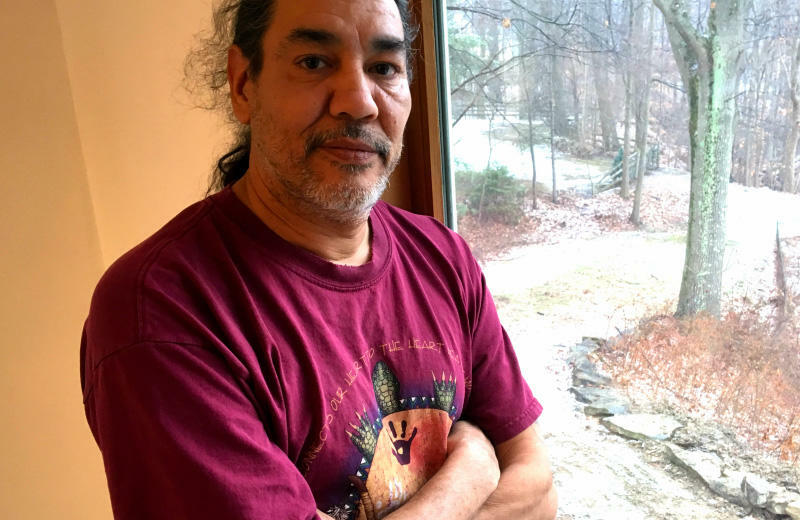 "The first time I was on an Indian reservation, it was Pine Ridge in South Dakota. I said, 'Would I wear a Chief Wahoo cap here?' and the answer was 'no.'" 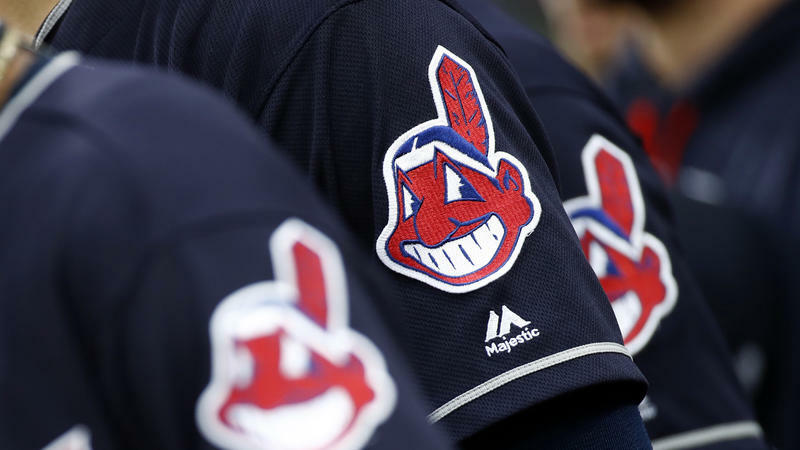 The Indians announced they will continue to sell Wahoo merchandise. "If they stop selling it, the logo becomes public domain. I'm sure they want to cash in on what's left and they are probably going to sell a lot of this stuff." Although, Pluto says the top-selling merchandise item for the Indians the last several years as been the red Block C cap with blue lettering. Pluto says Dolan isn't saying what logo will replace Wahoo on uniform sleeves in 2020, after the team uses the All-Star patch next year. But, Dolan continues to be unresponsive to Pluto's idea to have artists from four or five top Indian tribes submit what they think would be a good logo for the Indians. "You vote and it could be a lot of fun. You can't put the stupid Block C there; that would look ridiculous." Overall, Pluto says he likes the compromise. "I want the logo changed. I've wanted it for quite a while. I also don't want fans who like the logo somehow ostracized and demeaned. They should be able to wear it to the ballpark. So out of those two things, I think they've come up with something that I think works pretty well." 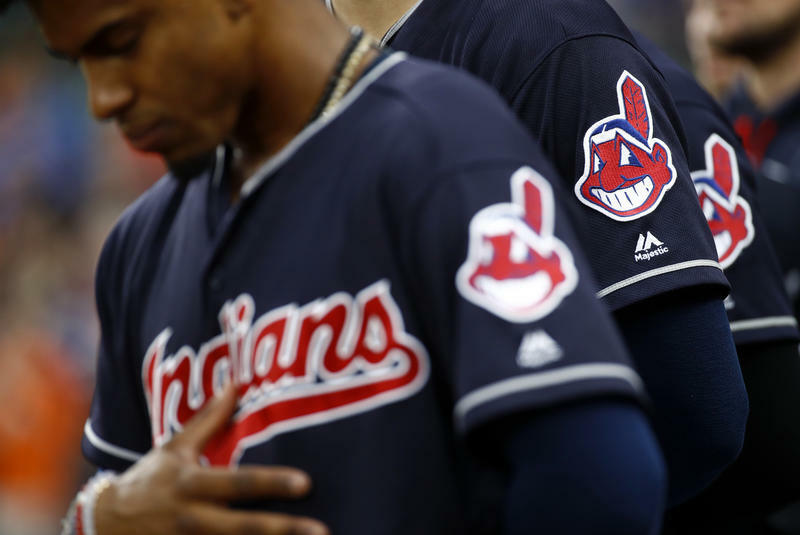 Philip Yenyo couldn’t believe the news he heard Monday afternoon that the Cleveland Indians were removing the Chief Wahoo logo from its uniforms and hats.